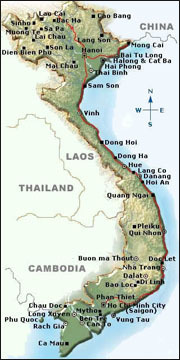 LEAVING OUR VIETNAM MIAs BEHIND? TURNING POINT IN JERRY’S CASE? Vietnam War MIA Families Head for D.C.
My first husband, Capt. Jerry Zimmer, was an F4B Phantom jet pilot, whose aircraft was shot down on August 29, 1969, approximately 20 miles South of Da Nang, Vietnam, after six months in country. Neither Jerry nor his navigator, 1st Lt. Al Graf, was able to eject, before the aircraft crashed into the Que Son Mountains. Initially Jerry and Al were classified as Killed in Action/No Body Recovered (KIA/NBR). Years later, both Marines were listed as MIA, along with other service members whose bodies were never recovered. Jerry has been gone nearly a half century, and hope for recovering his remains had run out a long time ago. However, in recent years our family became involved with the Joint POW/MIA Accounting Command (JPAC), now merged with the Defense POW/MIA Accounting Agency (DPAA), and learned that Jerry’s and Al’s remains might, in fact, be recoverable, so we are doing everything possible to support their efforts to make this happen and bring our guys home where they belong. NOTE: BLOG POSTS ARE NOT UPDATED, SO INFORMATION MAY HAVE CHANGED OVER TIME. Dec: 2011 – Above is retired Marine Capt. Ed Garr, a combat veteran of the Korean and Vietnam Wars, and a long-time tour director for Military Historical Tours. 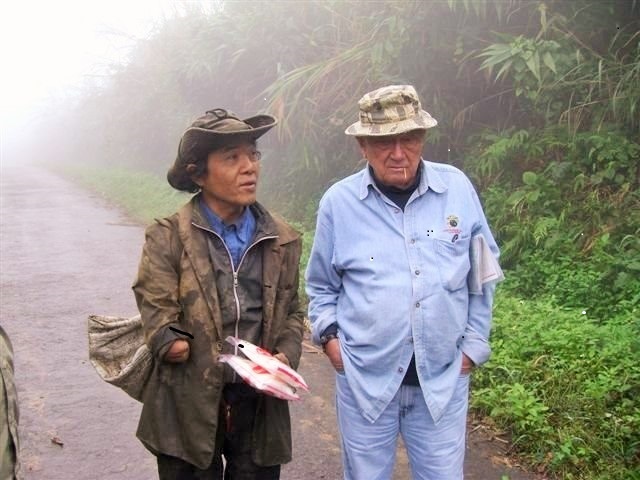 Garr has led more than 100 tours to Vietnam and often meets locals, such as the man above, who live in remote villages where we still have unaccounted-for MIAs. This is a story about veterans who have returned to the battlefield — some to find long-lost buddies and others to find themselves. This entry was posted on Thursday, April 10th, 2014 at 12:35 am	and is filed under Vietnam MIA. You can follow any responses to this entry through the RSS 2.0 feed. You can leave a response, or trackback from your own site. Steve, It appears that Jerry’s case is in the final stages, and we may need a miracle to kick in at this point — I’m not giving up yet, but no remains have been found, and that’s not a good sign. Please stay connected, and I will post an update in the near future. Thanks, Steve…. Elaine – I share Steve’s comments.